Another month is gone and gradually, 2017 is coming to an end. It has been an eventful year already and with two months to go, it can only get better. When it comes to one of the most exciting months of sporting action in the year 2017, October easily passes as that one month that had the complete package. From football to F1, tennis, basketball and rugby, fans had the complete package this past month. 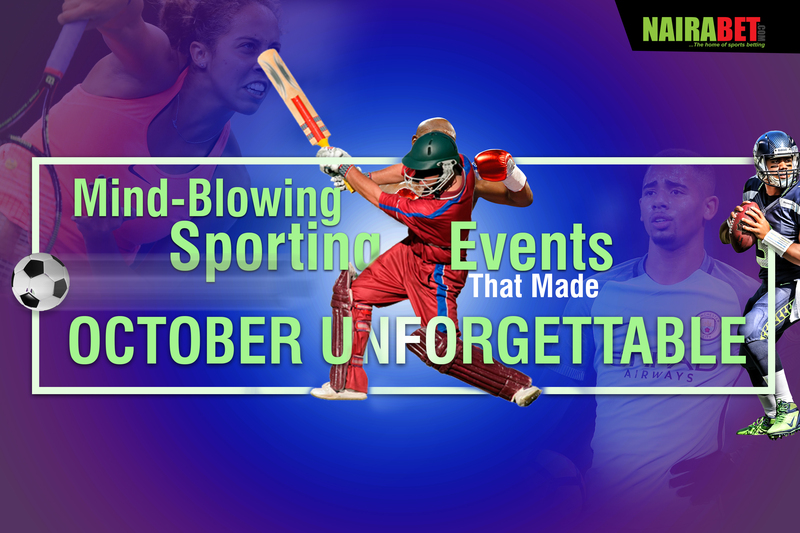 As we move on to November and the many awesome events waiting for us in the month, we look back at some of the mind-blowing sporting events that made October unforgettable for us. Earlier in the season, it was almost impossible to imagine Lewis Hamilton would become the world champion, with two races to spare. The Englishman was well behind Sebastian Vettel on the standings and needed a miracle to overtake the German. By the last week of October, several miracles had happened, including a DNF (Did Not Finish) for Vettel, drama in Azerbaijan, amongst others which, combined together ensured that Lewis Hamilton won a fourth drivers championship, with two races to spare. 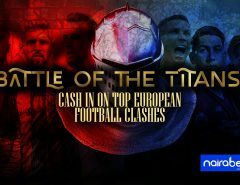 When it comes to football in Europe’s top five leagues, the competition is stiff. The smaller clubs are beginning to stand up to the big boys (remember Real Madrid’s loss at Girona last weekend?) which means more exciting football – and results too. Despite all of these, some football clubs have weathered the storm. Blowing all kinds of opposition away, these clubs have grinded out the necessary results and have stayed unbeaten so far. 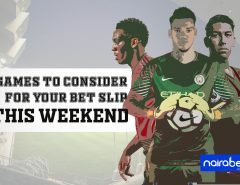 In England, Pep Guardiola’s Manchester City laid down the gauntlet in October by winning all their games in the month. They are currently leading the Premier League standings with 28 points, 5 more than their closest rivals, Manchester United. Man. City plays Arsenal next in their next Premier League fixture. Will their unbeaten streak remain intact at the end of the game? Click here to predict the outcome of the game and win big! In Spain, two teams are currently on an unbeaten run: Barcelona and Valencia. While Lionel Messi scored more than half of Barcelona’s goals this past month of October, it was all about teamwork for Valencia as they won games by goal margins as wide as two and three goals. Juventus may be the reigning champion in Italy but two other clubs seem set to wrestle the Serie A title out of their hands. Napoli and Inter Milan, currently undefeated in the season, took their title bid to the next level after avoiding defeat in the league throughout the month of October. Will this trend continue this new month in the Italian Serie A or will one of these two clubs drop points before the end of November? Click here to put your money where your mouth is and earn yourself some money. Lewis Hamilton was not the only champion that the month of October produced. In the world of boxing, Anthony Joshua defeated Carlos Takam and successfully defended his titles. The FIFA U-17 produced England as the champion of teenage football. Still in the world of football, Cristiano Ronaldo reigned supreme after he was voted the best footballer in the world by his fellow players. In the world of tennis, Caroline Wozniacki, against all odds, defeated Venus Williams in straight sets to win the WTA Finals. It was an eventful month. Now we can wait for all the excitement in the month of November. PS: Which sporting event or moment in the month of October wowed you? Leave us a comment and let us know what you think. October is super sweet and bitter at the same time. Not totally a good month for my club Chelsea. But we hope for better November. We also hope for the best for you!